Fenrir (pronounced “FEN-rir;” Old Norse Fenrir, “He Who Dwells in the Marshes”) is the most infamous of the many wolves in Norse mythology. 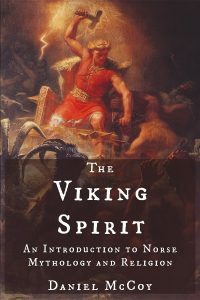 His importance for the pre-Christian Scandinavians is demonstrated by his being depicted on numerous surviving runestones, not to mention his ubiquity in Old Norse literary sources. He’s the son of the god Loki and the giantess Angrboda, which makes him the brother of the serpent Jormungand and the underworld goddess Hel. As the river’s ominous name implies, this was not the end of Fenrir. At Ragnarok, he will break free and run throughout the world with his lower jaw against the ground and his upper jaw in the sky, devouring everything in his path. He will even kill the god Odin before finally being put to death by one of Odin’s avenging sons. There’s good reason to think that many of the other wolves mentioned in Old Norse literature are actually Fenrir going under different names. One Old Norse poem states that he will swallow the sun during Ragnarok, a feat which is elsewhere reserved for another wolf named Skoll (“Mockery”). 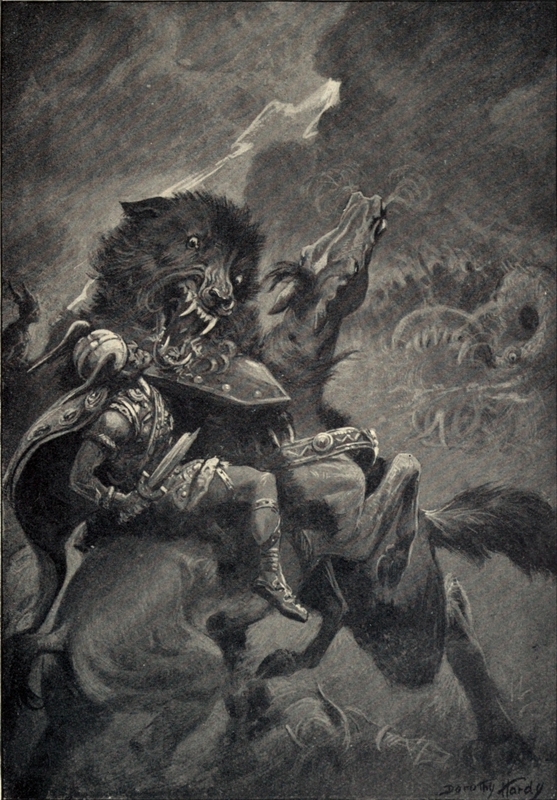 Another Old Norse poem repeatedly mentions a wolf named Garm who will break free from chains at Ragnarok; this is quite possibly Fenrir going under a different name. 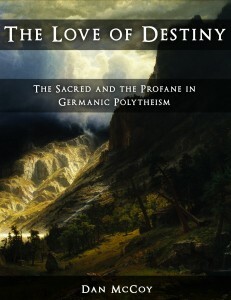 In another source, we find the wolf who will consume the moon called by the name of “Moon-garm” (Mánagarmr). Thus, the moon-eating wolf, who is elsewhere called Hati (“Hatred”) could be another extension of Fenrir – or at least of Garm, if Garm is not himself an extension of Fenrir. 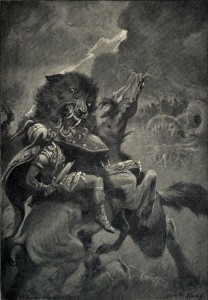 Perhaps the Vikings thought that it is ultimately Fenrir who, in addition to killing Odin and destroying much of the world, will eat the sun and the moon during Ragnarok. But these wolves are never precisely delineated in the primary sources, so we’re left to guess as to what exactly the relationship between them is. The Poetic Edda. Vafþrúðnismál 46. Snorri Sturluson. The Prose Edda. Gylfaginning 12.